Newcomer Lindsay McCaul will release her full-length debut album 'If It Leads Me Back' on 17th January 2012. The singer/songwriter's eleven track album was produced by Jason Ingram (Tenth Avenue North, Meredith Andrews), who first brought McCaul's talent to the attention of Reunion Records who went on to sign her. Ingram comments, "When I heard her voice I took notice, but as a songwriter myself I was drawn in further by her unique writing style. Lindsay has a certain love of language that shines through in her songwriting." Read More Newcomer Lindsay McCaul will release her full-length debut album 'If It Leads Me Back' on 17th January 2012. The singer/songwriter's eleven track album was produced by Jason Ingram (Tenth Avenue North, Meredith Andrews), who first brought McCaul's talent to the attention of Reunion Records who went on to sign her. 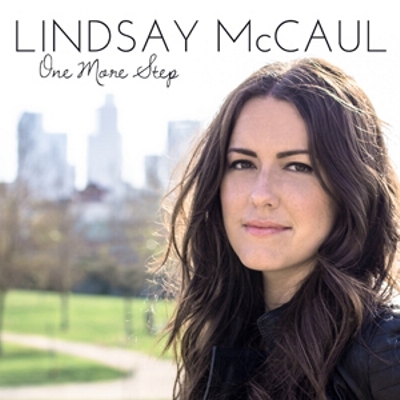 Lindsay was invited to join Casting Crowns on its 'Come To The Well Tour' this year, with the band's front man, Mark Hall saying "I am definitely a Lindsay McCaul fan. She played a couple of shows with us last year and I knew right away that she'd be a great fit with the Casting Crowns tour. I think I even asked her that day if she’d like to join us!" Hailing from Chicago, Lindsay McCaul is an artist keenly aware of words and their value. From her teen years pouring over the lyrics of her favorite Christian music to her college days majoring in linguistics at Moody Bible Institute, McCaul's gifts manifest themselves in vibrant, insightful songs crafted with thoughtful precision reflecting a compassionate heart and deep intellect.